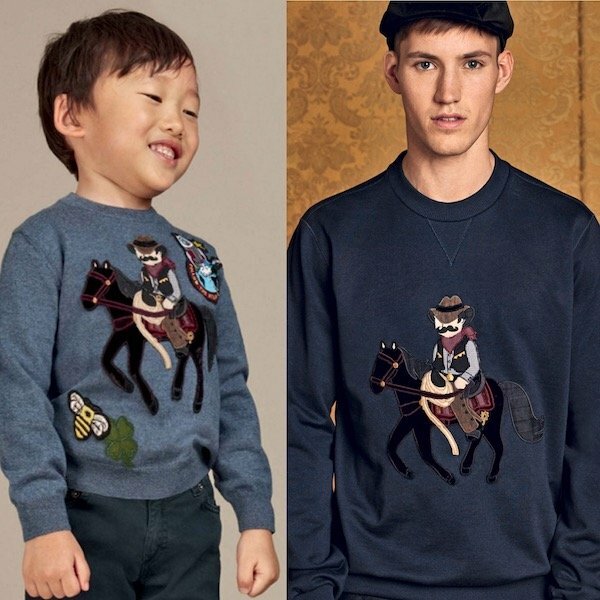 How adorable is this Mini Me Boys blue wool 'Sicilian Western' sweater by Dolce & Gabbana Kids. Finely knitted in pure new wool, this soft-feel sweater has a cowboy and horse appliqué, a rocket and signature bee and lucky clover on the front. Complete the look with this Dolce & Gabbana Boys Black Tracksuit Trousers and Boys Black & White Leather Trainers. 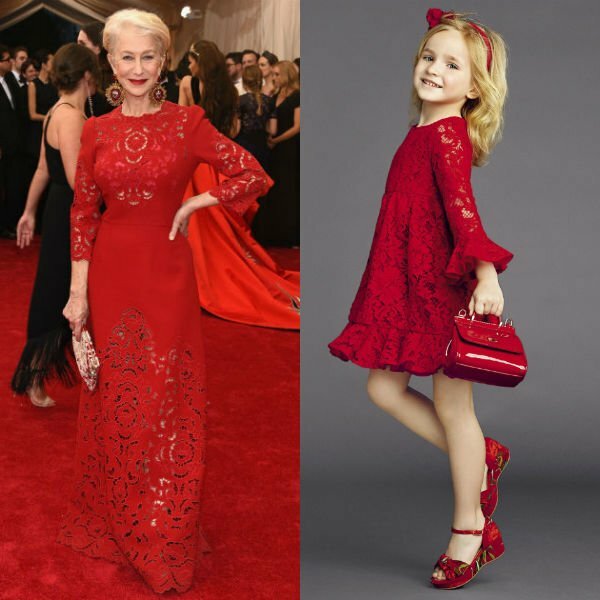 Super cute Daddy & Me look inspired by the Dolce & Gabbana Mens Fall Winter Fashion Show at Milan Fashion Week.